Convey the essence of eternal light with a bouquet of moonlight white roses in basket! All-white, fragrant flowers beautifully arranged with towering accents and lovely greens. Refreshing and enchanting--send today! Same day delivery for order before 3pm. 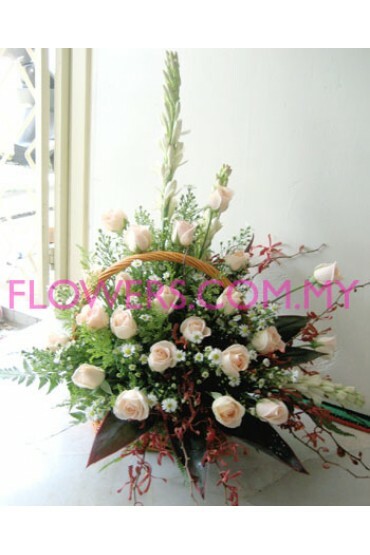 Order placed after 3pm and sunday will be delivered the following working day. Designs may vary for outstation orders. Sender's details will be keep confidential. Free message card provided.